Southampton teaching jobs, other Hampshire teaching jobs, Dorset & Wiltshire teaching jobs! Plus school support roles in all areas. The Southampton Supply Desk team would be delighted to discuss some of the current vacancies we have at the moment and how our services are designed to ensure you make the most of your teaching career. Our office is based near the marina in Southampton’s Ocean Village district at Basepoint Business Centre. We service teachers, schools and nurseries across these areas and most of the South Coast including Hampshire, Dorset, Wiltshire and the Isle of Wight. We aim to place teachers, TA’s and school support staff in the right job in the right school for them, on either a permanent, supply or fixed-contract basis. We work with both state and independent nurseries, primary and secondary schools. Southampton is a beautiful city steeped in history and culture, with many museums and art galleries to visit. We have original fort walls that provide a beautiful walk on a bright day alongside bustling student culture, an active nightlife and fantastic leisure and shopping facilities. The city really does have something for everybody. Plus if you have a passion for the outdoors we are a stones throw away from the New Forest where you can go for walks and hikes surrounded by serene nature away from the city life! Let our Southampton team help you! Call 02380 230 340 or register at the link below. Genevieve is our newest member to the Southampton team and joined us January 2019. 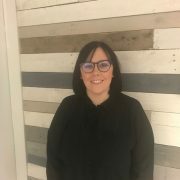 She has 4 years’ experience in the education recruitment sector specialising within SEN. Genevieve is passionate and dedicated to providing a quality service to both candidates and schools. She is keen to develop the SEN support we provide across the South in both mainstream and specialist SEN provisions. Daniel joined the Southampton branch in December 2016 and has since been working with Secondary schools and Colleges in the surrounding area. Having spent several years teaching in Japan, he is very passionate about education. 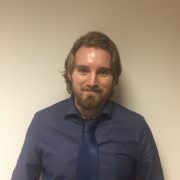 He has also worked previously as a recruitment consultant and always endeavours to bring his experience from both industries into his current role. He aims to provide a friendly, reliable and efficient service to both schools and candidates.